The average boiler has a life expectancy of between 10 and 15 years, and one that is well maintained may last upwards of 20 years or more. Over the course of ownership, you may experience issues with your boiler that require repair, and in order to ensure the quality of the work, it’s imperative that you hire a reputable, experienced technician to complete the job. The team of certified professionals at M.E. 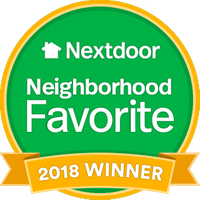 Flow has been providing top quality services to homeowners in the Northern Virginia area since 1951, including boiler installation, replacement, and repairs. Contact us today to schedule an appointment, or call us at one of our three locations and let us know how we can help! With so many tasks that rely on the availability of hot water, it can be more than an inconvenience when your boiler malfunctions. If you turn on your taps to find nothing but cold water or if there is no heat coming from the radiators, call M.E. Flow for fast, efficient boiler repair. Low water pressure may be the result of a leak or blockage within the system. One of our certified technicians will be able to quickly diagnose and resolve the issue to restore functionality to your boiler. If you notice a sudden rise in the cost of heating your home, there may be a serious problem with your boiler that requires repair, or it may be losing efficiency due to age and need replacement. Our technicians can provide you with expert advice and help you find the right solution for your home and budget. A metallic or other unpleasant odor coming from your boiler can signal a gas or oil leak, which can put your home and family at risk and requires an immediate call for boiler repair. Why Choose M.E. Flow for Boiler Repair in Leesburg & the Rest of Northern VA? M.E. Flow is a third-generation, family owned business, dedicated to excellence in quality products and services. Our technicians are NATE certified, highly-trained, and hired based on strict criteria for honesty, integrity, and professionalism. We treat you and your home with the respect they deserve, arriving at your scheduled appointment on time and in uniform, with no mess left behind. We service all makes and models of equipment, provide you with upfront pricing, and offer a no-obligation in-home consultation for boiler repair, service, and installation. As Northern Virginia’s boiler experts, you can trust M.E. Flow to complete your boiler repair using the latest tools and technology. Contact us today to learn more about our services or to request an estimate.